“Probably the most quintessentially English pop voice of it’s generation” – The Times. Nobody sings like Colin Blunstone, the mild mannered man from St.Albans, who became one of Britain’s most respected and popular vocalists. Lead singer with The Zombies, his distinctive voice manages to be both sweetly angelic and deceptively strong and was a key element of the band’s sound. Now Colin is out playing solo dates with his own fabulous band (whilst The Zombies are resting) featuring songs from his fifty year musical career from “She’s Not There” with The Zombies, to solo hits “I Don’t Believe In Miracles” and “Say You Don’t Mind” and on to “What Becomes Of The Broken Hearted” (a hit with Dave Stewart) and the unforgettable “Old and Wise” with the Alan Parsons Project. 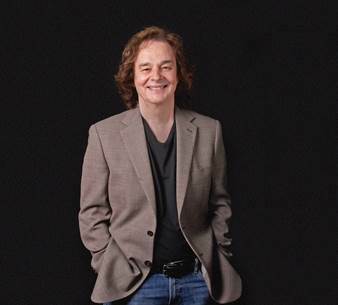 ” Colin Blunstone’s voice is one of the greatest British vocal sounds of the 20th. Century” – Sir Tim Rice, The Evening Standard. ” Colin Blunstone’s solo oeuvre seems more relevant today than ever, by turns breathy, ethereal and operatic” – Billboard Magazine. Not to be missed an evening of music and history with a master entertainer! Bruce Sudano has released his latest single, “Forbidden Fruit”, the first of several new songs he’s been writing and recording following the hugely successful launch of Summer: The Musical, the Tony-nominated Broadway production celebrating the life and music of his late wife Donna Summer. Sudano is planning a busy Fall, getting back to the business of writing and recording songs, and performing them to whoever will listen. After a press jaunt in Milan, Italy, Bruce will be showcasing at NERFA and Folk Alliance, and performing a handful of NorthEast dates with two of his hit-writing peers – Dan Navarro and Chas Sandford – in a new series they’ve aptly named “Threefer Madness”.